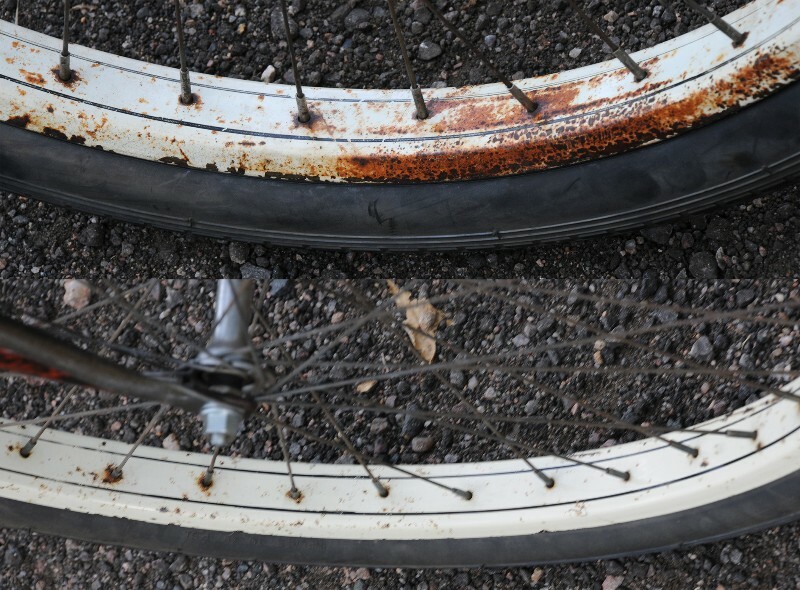 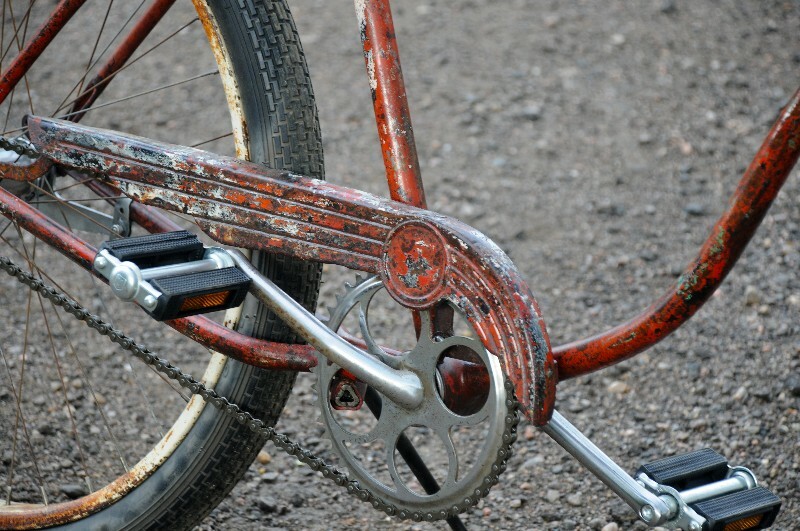 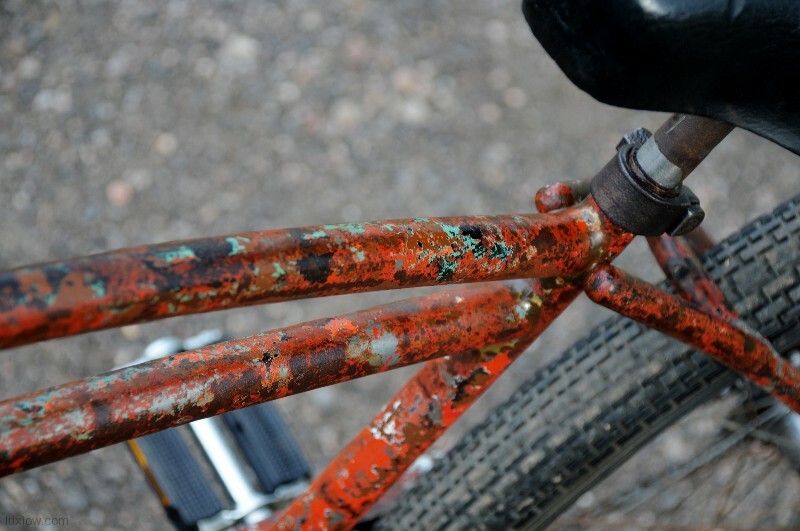 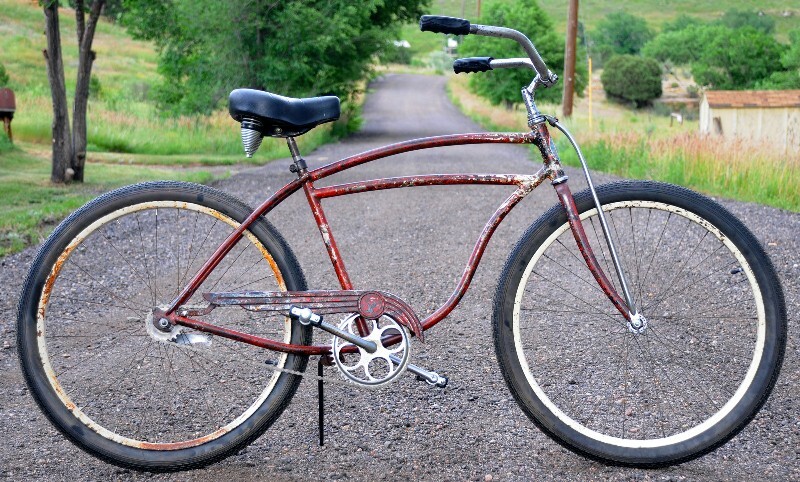 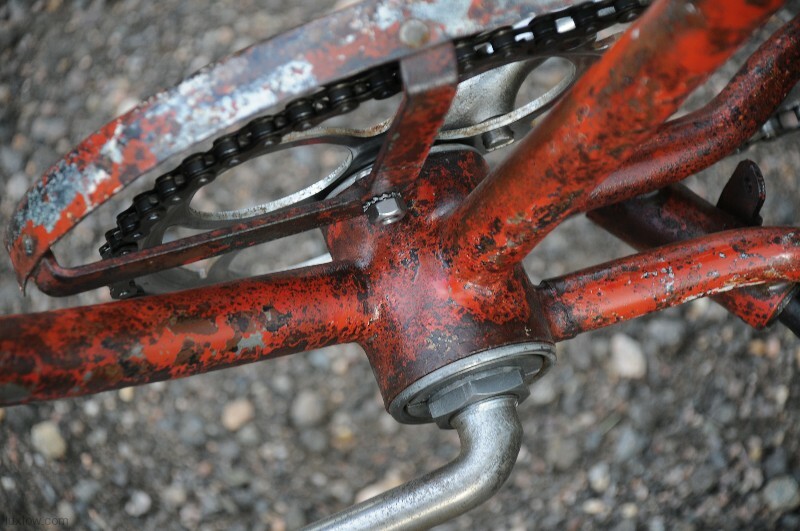 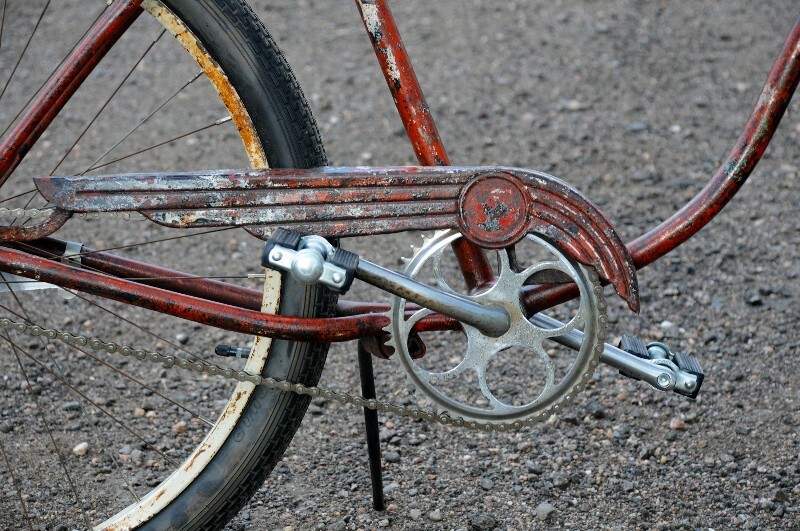 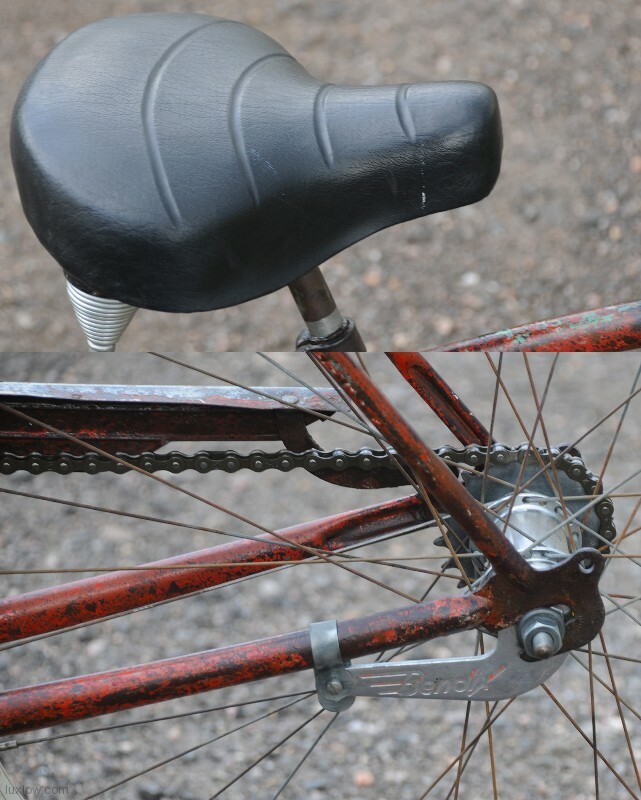 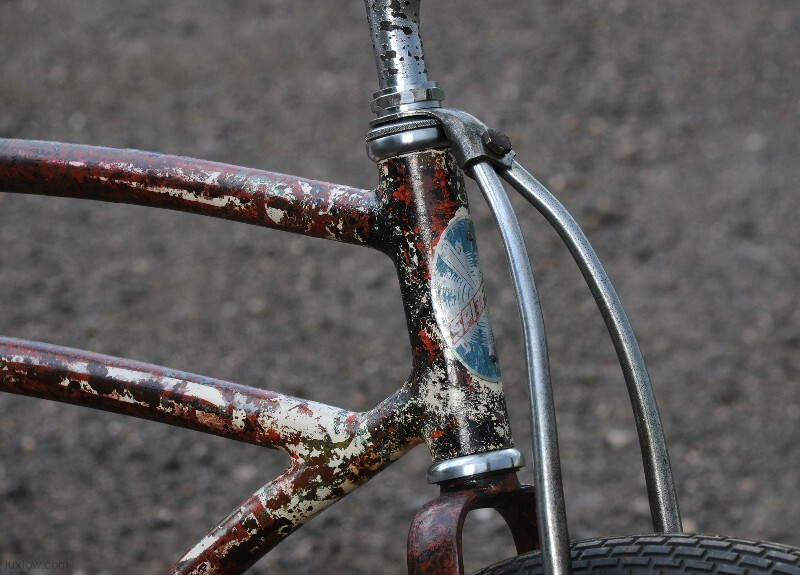 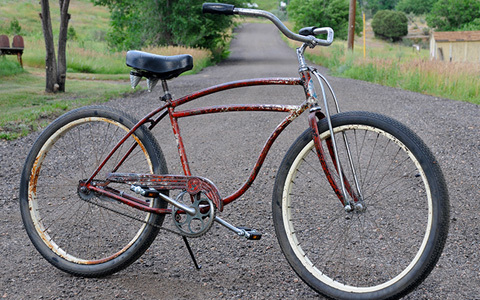 A Classic Schwinn Spitfire DX Ballooner Cruiser Bike with Rustic Rat Rod Appeal. 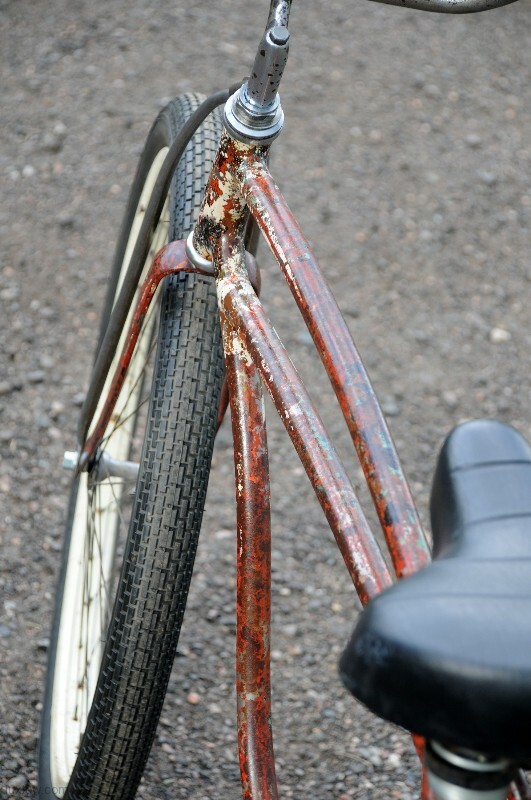 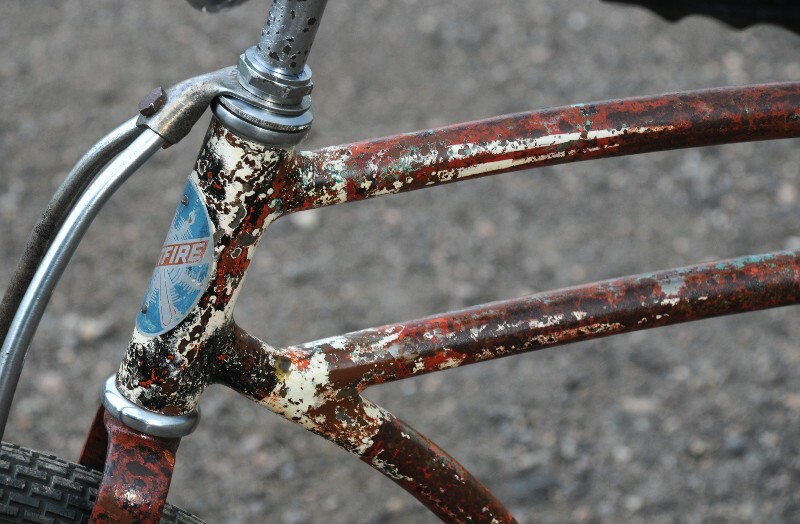 A Classic paper boy frame with original paint and lots of over spray paint that is effected by the elements (Seriously Some Crazy Paint). 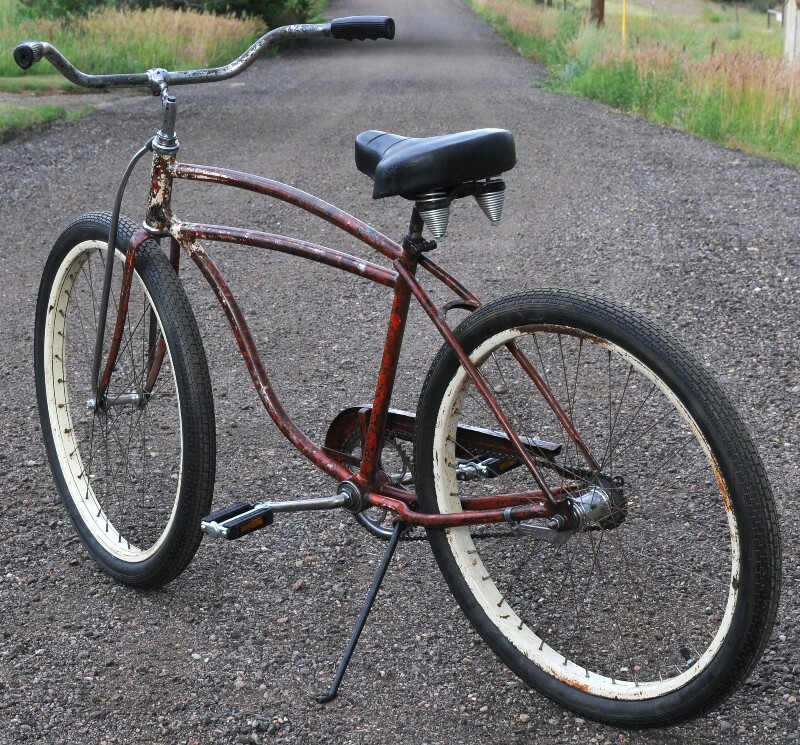 This Early Post War Rat Rod Ballooner rides smooth, looks bad, and will get you there in style and comfort. 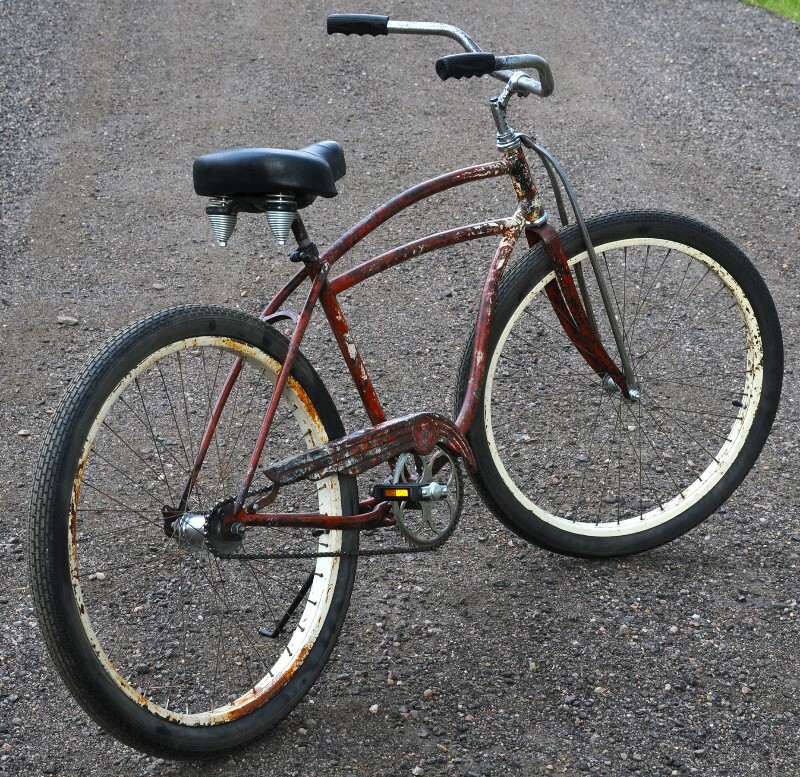 This is a Full size Men’s Adult Ballooner Bike with Rebuilt Schwinn S-2 painted wheels with new 26″x 2.125″ Blackwall Brick tread tires, has Feather Chain Guard, messinger saddle, and Truss fork. 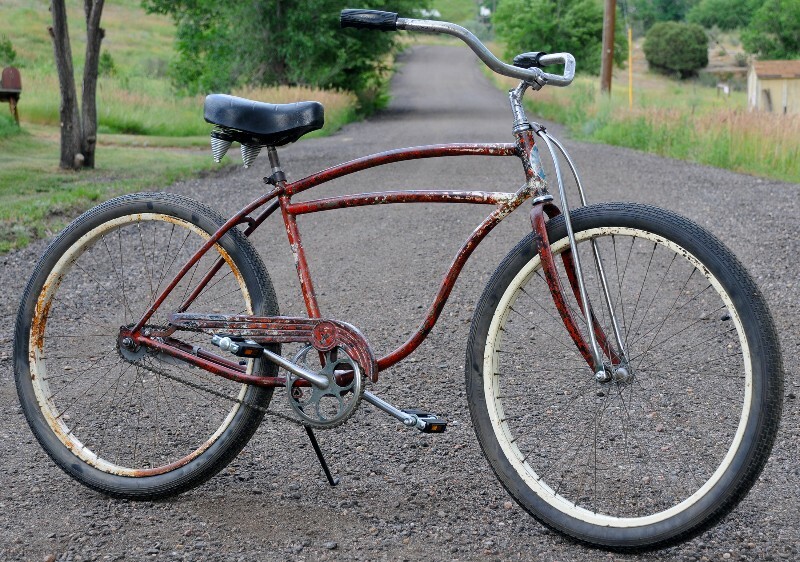 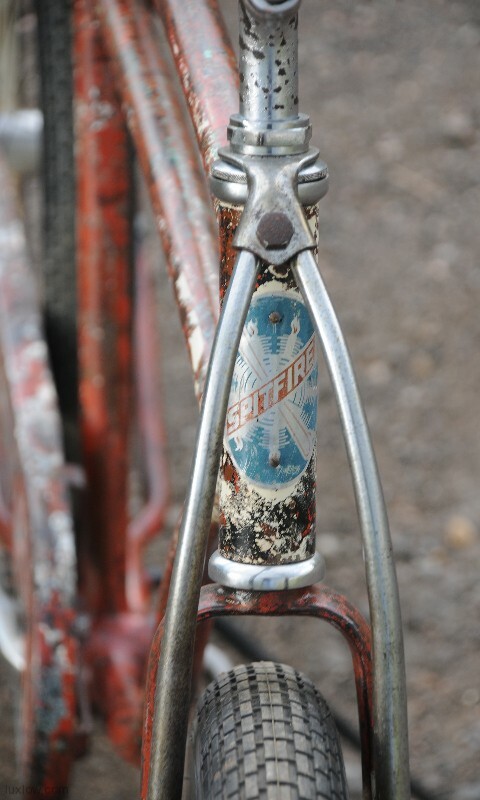 Original Schwinn Quality and parts that are 50 plus years old, and rebuilt is is set to outlast anything bought new today. 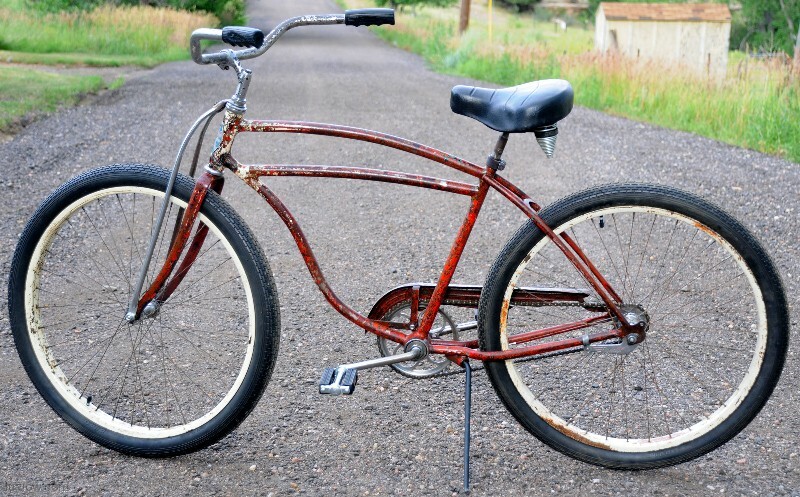 Non Local Sales: You will be billed through Paypal and Shipping is $150 for most of the US.